On arrival, you will be met by our company representative and transfer to Ruhengeri – the nearest place to Volcanoes National Park found in the northern province of Rwanda. The journey is a 3 hours drive from Kigali. Breakfast will be ready by 6:00am and your packed lunch will be prepared as well. Carry enough water for the day and drive to the park headquarters by 7:00am for registration, briefing and allocation of Gorilla groups. Hot coffee and tea or milk is freely available at Kinigi and you can enjoy a cup as you watch the entertaining cultural dancers on site. After briefing and depending on which gorilla family you are allocated, you may begin the trek right away or drive a short distance to the starting point where the real trek begins from. Gorilla trekking in Rwanda usually takes 2 to 6 hours depending on the movement of the gorillas however, the guides will try to find them from where they were last seen the previous day! After finding them, you will have up to 1 hour maximum to keep them company as they go about their daily routine; feeding, grooming, resting and the young ones playing. 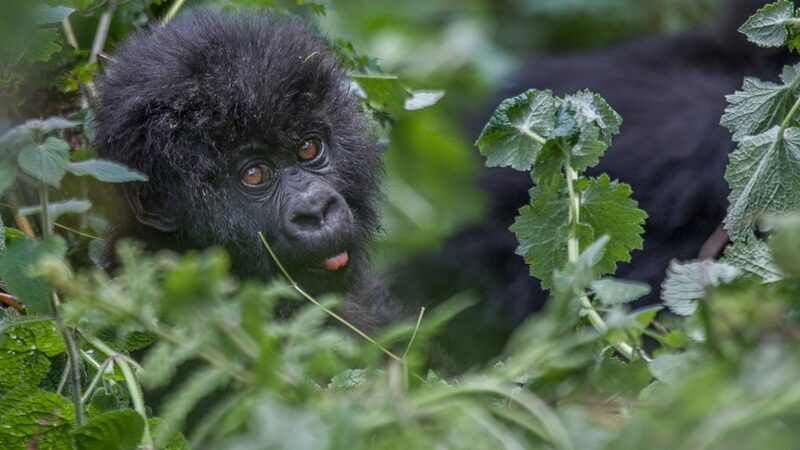 When the hour is up, you will make your way out of the forested slopes of Virunga Park and receive your Rwanda Gorilla trekking certificate from the ranger guide. Meet your driver / guide and transfer back toFive Volcanoes Lodge, Sabyinyo Silverback Lodge or Bisate Lodgeas above. You will enjoy breakfast and transfer back to Kigali city where you will do a city tour and visit places like the Museum, Genocide memorials, and the handcraft markets for souvenir shopping. Later proceed to the airport for your onward flight.